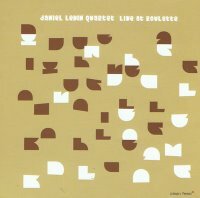 Live At Roulette is the fourth release by the Daniel Levin Quartet. The personnel of the band has gradually shifted. Initially, Dave Ballou was the trumpeter but he was replaced by Nate Wooley on the second disc. Joe Morris was bassist on the first three releases but for this recording he was replaced by Peter Bitenc. Vibes player Matt Moran and cellist Levin have been the mainstays but this group has a unique sound and they seem to have developed a level of communication that only comes with like-minded players who have an intuitive sense of what each other is doing. And that is demonstrated on this disc in spades. Previous quartet discs by Levin have focused mostly on compositions (both originals and standards by Coleman, Dolphy and others) as source material. By Blurry (2007, the third album) the band was moving toward more open, Free territory. On Live At Roulette, they present an entire set of Free improvisation. These are players who draw everything into their music and all four seem to know the extended range of their instruments as well as the natural range. Levin’s cello possesses power, agile beauty, and barbed-wire harshness. Wooley wrenches some of the most amazing sounds out of his trumpet. Yet when he plays in the instrument’s natural range he has a gorgeous tone, full and expressive. Moran’s vibes are nimble with lines darting in and out of the other instruments. He frequently toys with the sustain and vibrato on his instrument bringing out some unique textures in tandem with the others. On tracks that are titled after group members (Matt / Peter) the titular head will usually start the piece and then other members of the group fall in. The improvisations are remarkably focused and they all seem to lead in a definite direction. There are hardly any moments where the group seems to be getting their bearings. It’s hard to tell if these are extracts from longer pieces or full improvisations in and of themselves. But either way, they seem to move forward as a unit with a single-minded purpose.